Quilting requires crafters to use their entire brain, both the creative side and the analytical side. It’s one enormous geometry problem that you solve with your hands. But, unlike your 9th-grade math homework, this one problem is fun to figure out. A quilting project involves choosing patterns, fabrics, and colors you like. And because it’s tactile and hands-on, it helps crafters maintain hand-eye coordination, finger strength, and dexterity. Additionally, crafting has been proven to reduce depression and chronic pain, as well as to protect the brain from age-related damage. Another reason to put quilting on the list of activities for seniors: It’s social. Quilting is a fantastic way to strengthen personal relationships, make new friends and positively impact your community—all while bringing purpose and activity to the daily life of your senior patient. When it comes to quilting, simple nine-square patchwork is just the beginning. There are techniques and designs out there that create true works of art. And they’re all over the place! If you have a nearby natural history museum, chances are good they have a quilt or two on display. In addition to museum-quality pieces, there are also numerous local, national and international quilt shows held every year all around the world. Most quilt shows feature displays, quilting competitions, meet-and-greets with artisans and fabric designers and workshops to help you learn new skills. 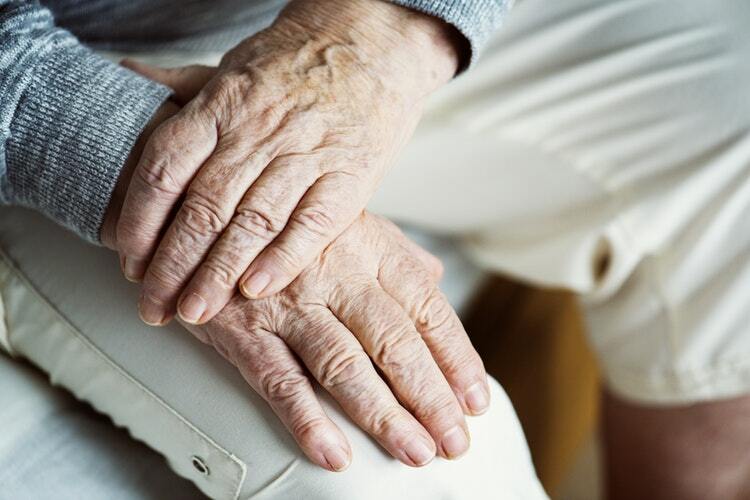 It can be difficult to get seniors to toss old things, especially clothes or bedding that are still usable–even if they’re stained, holey or ill-fitting. 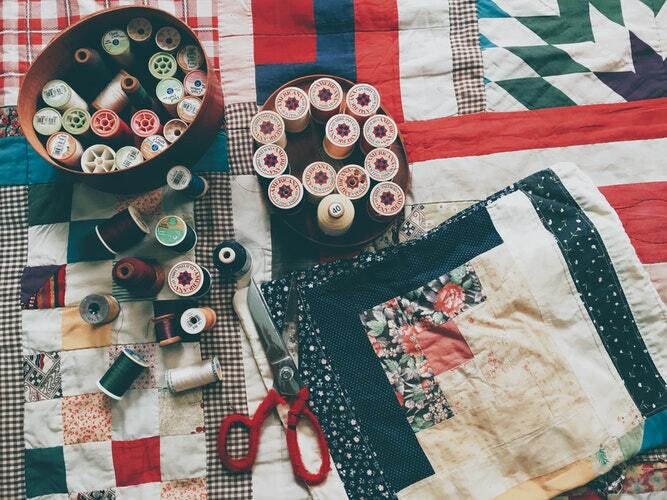 Repurposing these items into a quilt project can make it easier to let them go. It’s also a wonderful way to transform items of personal significance into an heirloom that can be treasured. Spread the word to family members to see if they have any fabrics to contribute, too. Want to make a t-shirt quilt out of old tees or sweatshirts? No problem! Have your senior patient choose the ones they want to memorialize in a quilt. Then, visit a craft or fabric supply store to pick up interfacing, which will stabilize the stretchy material and make it easier to work with. If you’re looking for senior activities that will help your patient become more comfortable with computers, smartphones and the internet, quilting might be a fly-by-night surprise. Quilt designers and hobbyists use the web every day to connect with each other, ask and answer questions and share their work. For inspiration, try introducing your loved one to social media platforms like Instagram and Pinterest. For help getting started, search for quilt-focused DIY blogs, online crafting magazines and forums like Reddit that promote community Q&As. If you’re on the hunt for accessible, low-key activities for seniors, activity-centric groups are prime picks. There are local quilt guilds in towns large and small across America. They are relaxed environments that are always welcoming to newcomers. And given the surprisingly broad age range of quilters, they present a good chance to make friends across generations. You can find out about these groups online as well as in local quilting or fabric stores. Some sponsor trips to exhibits and shows, workshops with popular crafters and other social gatherings, too. Children’s hospitals and childhood disease foundations across the United States accept quilt donations from crafters. The gifts make these kids’ hospital rooms more cheerful and personal. And knowing that someone cared enough to make a quilt just for them eases the stress and worry chronic illness brings. 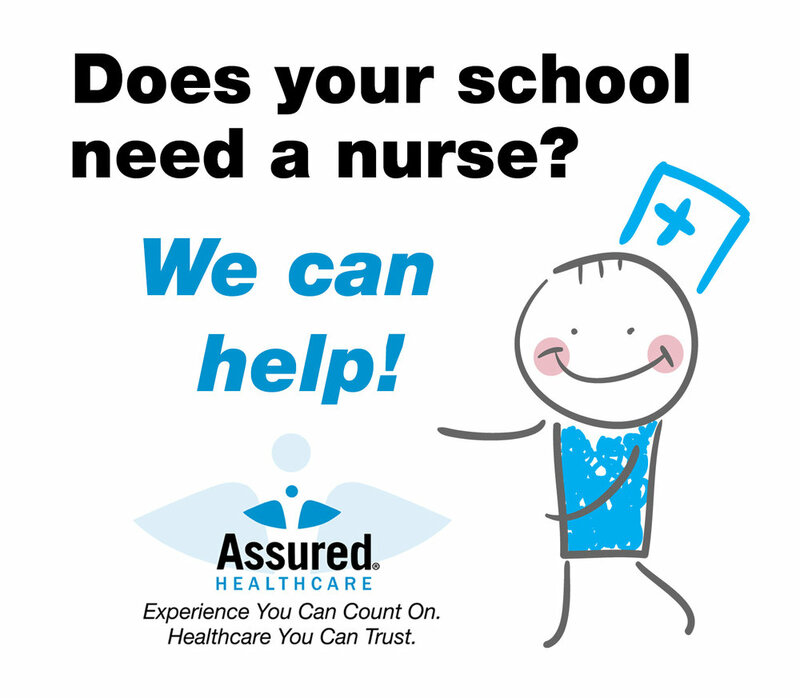 Plus, your senior might not have to volunteer from a distance. Research has shown that interaction between seniors and children is beneficial for both demographics. If your patient is healthy, able and willing to spend time with kids, volunteering to read, talk or play with tots at a nearby children’s hospital is one scientifically proven way to keep them engaged with society. Dementia and early-onset Alzheimer’s are devastating diseases, but research shows that sensory quilts can help patients and caregivers cope. These sorts of items are crafted for sensory stimulation. Different textures, like fleece, flannel and corduroy, give fidgeting fingers something to do while also calling to mind familiar thoughts. Whether you’re caring for a patient with dementia or your loved one has friends who are slowly declining, creating a tactile quilt is an activity that maintains bond among the two of you, and between your patient, their memories and their friends. If you’ve been to a Goodwill or a thrift store lately, you know how much of a treasure trove it is. From ’80s wedding dresses to tropical button-ups reminiscent of beach vacations, they’re plum picks for a walk down memory lane with your senior patient. You can find scores of good-quality quilting materials for a song. Keep an eye out for interesting patterns and textures, natural fibers and items that come with discounts because of a flaw, like a weird stain. If you’re looking for activities for seniors, quilting belongs at the top of your list. It’s an excellent pick for introverts and extroverts alike. It’s also incredibly easy to get started. 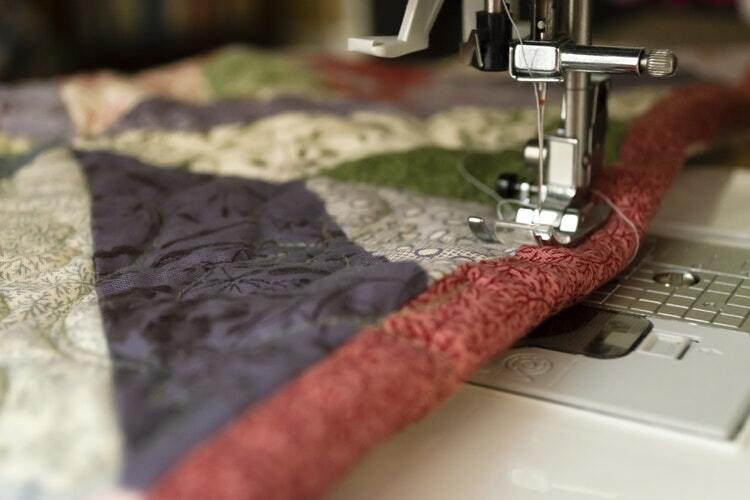 While machine quilting is certainly in vogue, piecing and quilting by hand is a time-honored tradition. And all you need to get started is your favorite senior plus fabric, needles, and thread.